In June 2016, Pure added the ability to capture courses taught, complimenting all the existing data types in Pure like research outputs, research datasets, grants and organizational structures. This will allow customers to use their existing Pure system and the trusted data in a new way: Faculty and Academic Activity Reporting. The new feature allows universities to understand their academic staff on the individual level by combining the courses taught data with the curated data already in Pure. 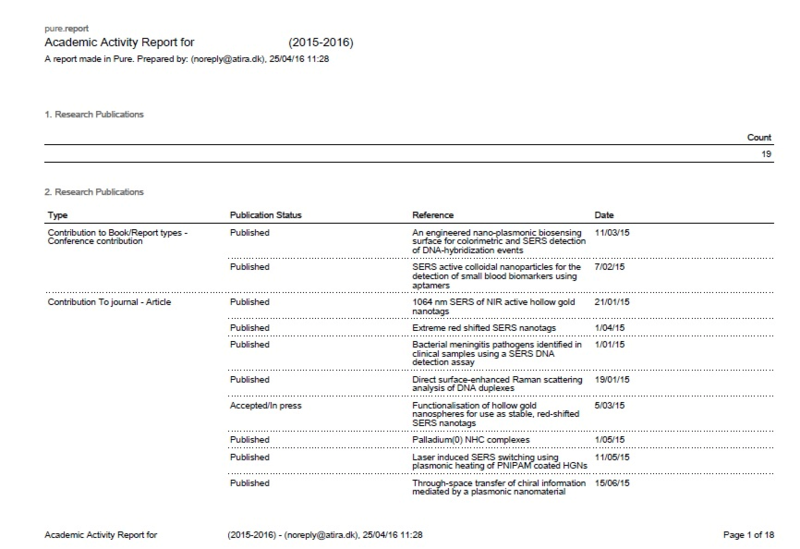 This marks the first in a series of releases that will support activity reporting. In the 5.6 release, Pure is working more closely with Japan’s researchmap. Researchmap is a Japanese information infrastructure that helps academics simplify the research process by creating a consolidated and flexible place for web-based services a researcher uses such as email, calendars and digital filing cabinets. With integration to researchmap, it is now possible to export data from Pure and easily upload this into researchmap, allowing customers to easily reuse the trusted data they already have in Pure. Simply register your researchers’ researchmap IDs in Pure. You can then export content from these researchers in the official researchmap data format and easily import it into the researchmap system. No one metric can accurately capture the full value of a paper to the scientific community. In June, we added 2 more journal metrics in Pure – Source Normalized Impact per Paper (SNIP) and SCImago Journal Rank (SJR). These metrics are available to all Pure customers and do not require a subscription to other products. The new workflow configuration options make it possible for universities to choose between a centralized or decentralized approach for adding artifacts to Pure. The new workflow configuration options gives you two new possibilities to make the Pure workflow match your needs. First, for all major content types, you can decide whether you want to add a workflow. The next major release, 5.7, is planned for October 2016.